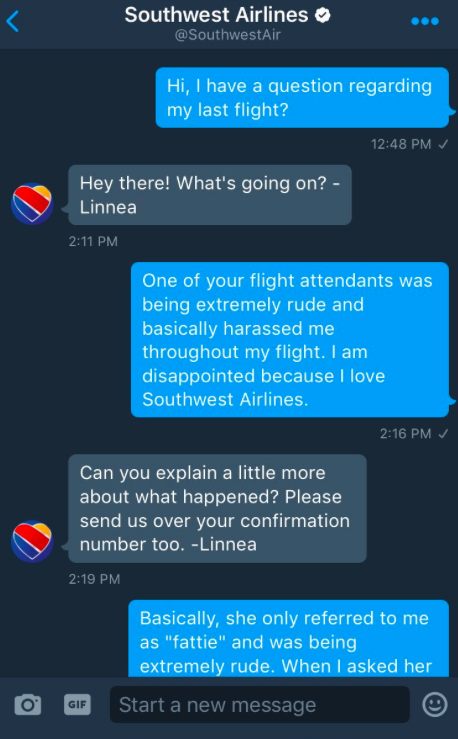 A woman's conversation with Southwest Airlines has gone viral, after they responded hilariously to her harassment complaint. Paige contacted Southwest Airlines with a complaint about her treatment in flight. As you'd imagine, they'd be pretty wary about this kind of thing a day after the United Airlines debacle, in which a man was physically injured whilst being dragged off a plane. 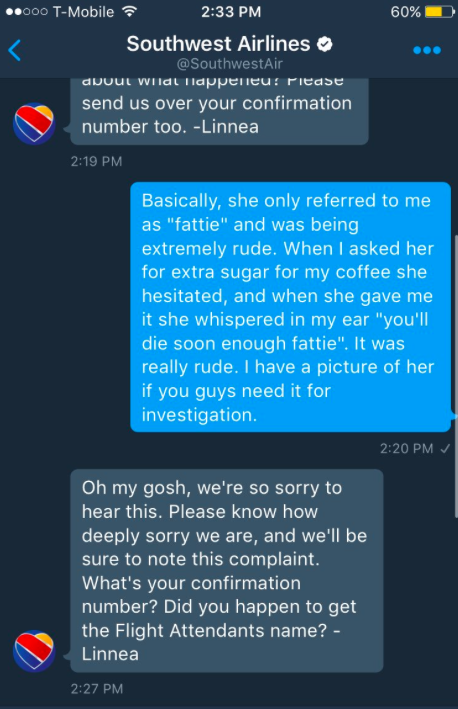 So at first they took her complaint seriously. And they immediately apologised, unreservedly. They didn't blame the passenger, like United may have done. But at this point it became apparent that Paige was just having a bit of a troll. 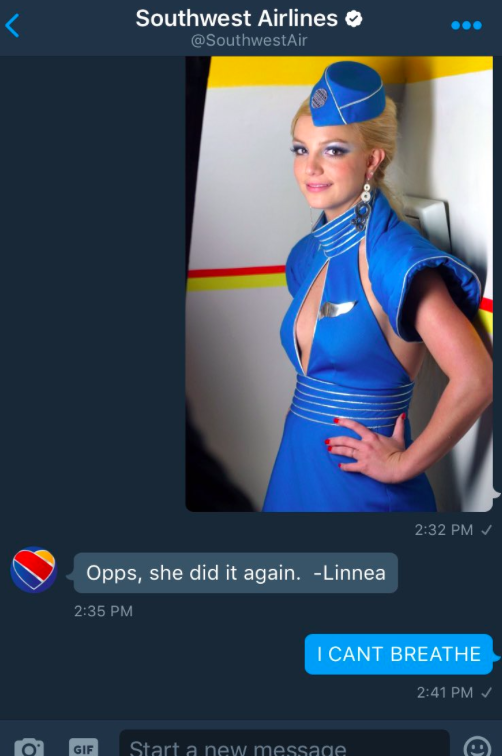 Paige's trolling and the airline's response have gone viral overnight. People are loving Paige and Linnea's response. 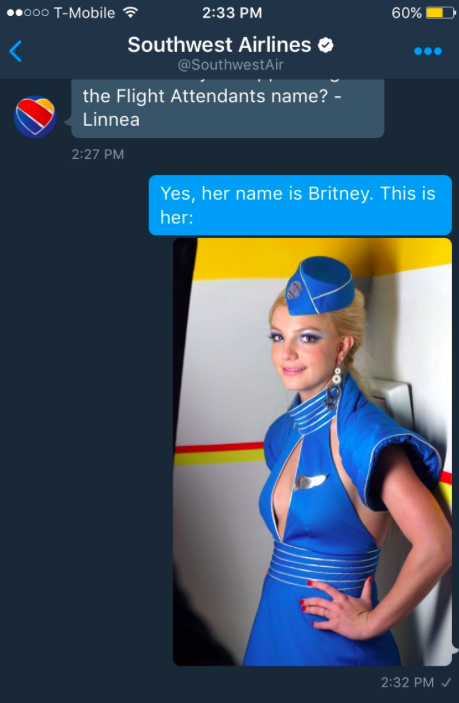 It's gone so viral that she is trying to use it as leverage for some free flights.